We are all shocked and sad about what happened and what is still happening in Japan. Our thoughts and prayers are with all people who live there. As Snuff Crew and Snuff Trax we now want to help. 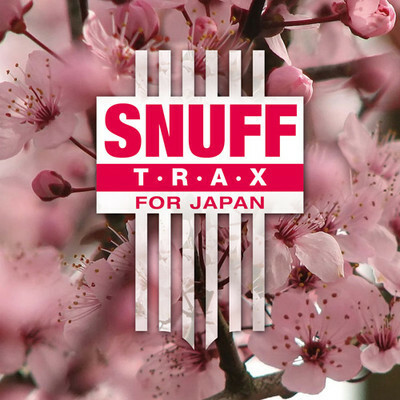 So we start the „Snuff Trax For Japan“ compilation that will come out as digital release. All receipts will go to the donation account of Deutsches Rotes Kreuz (German Red Cross). Besides Snuff Crew the compilation includes over 40 Tracks by a great artists from the international electronic music scene. Laurent Garnier, KiNK, Neville Watson, Hieroglyphic Being, Legowelt, Patrick Pulsinger, Renato Cohen, Hard Ton, Elec Pt.1, The Model, Luke Solomon, Dance Disorder, Andy Blake, Photonz, Marcello Napoletano, Remute, Morning Factory, DJ M-Traxxx, Billie Ray Martin, Simoncino, Joe Drive, Ascii.Disko, Romina Cohn, Discodromo, Roberto Rodriguez and many more joined this charity project.